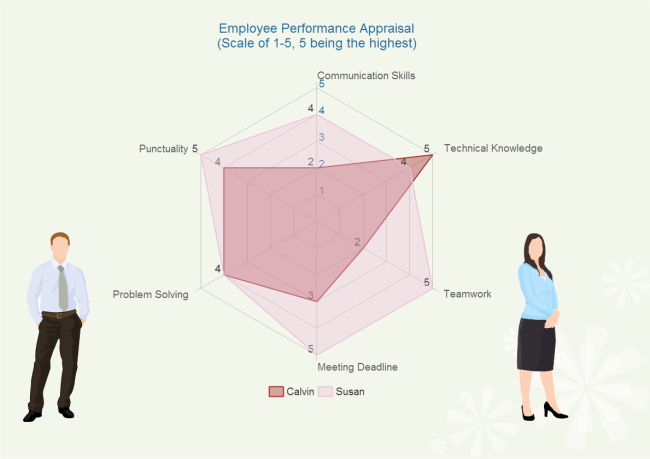 Spider web chart is a graphical way to compare data, which can be used for skill analysis of employees, product comparison, etc. 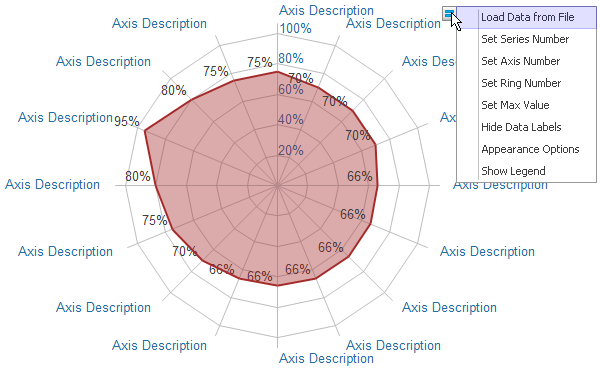 Spider Web Chart, also called radar chart, a graphical method to represent multivariate data in the form of a two-dimensional chart of three or more quantitative variables. It is useful for rating an item or items along 3 or more axes, e.g. the cost, quality of faculty, campus facilities, and student life for three different colleges. Following are benefinits of using spider web chart. Make concentrations of strengths and deficiencies visible. Clearly display the important categories. Define full performance in each category. Offer vivid and visual description. 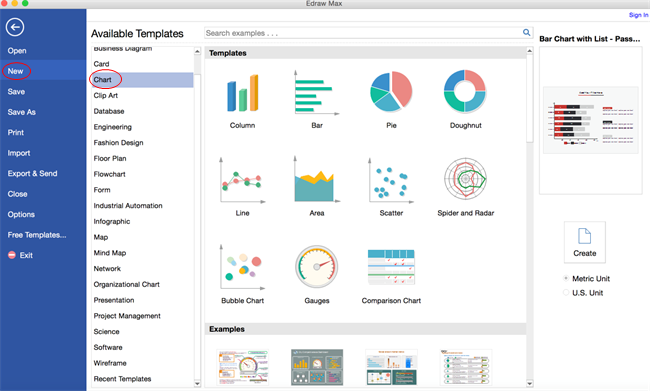 Edraw Spider WebChart Maker should be what you need to draw a spider web chart. Its various built-in templates and examples would help you a lot. Go to File menu New > Chart, and then double click the icon of Spider and Radar to open a drawing page for creating a spider web chart. select a spider shape you like from the library. Point to the floating button, a window will appear, just choose the item you need to add such as series number, ring number, max value and so on. Click Save on File tab to save as the default format .eddx or choose Save as on File tab to save as other formats. It is also available to save the file to in team or personal cloud. 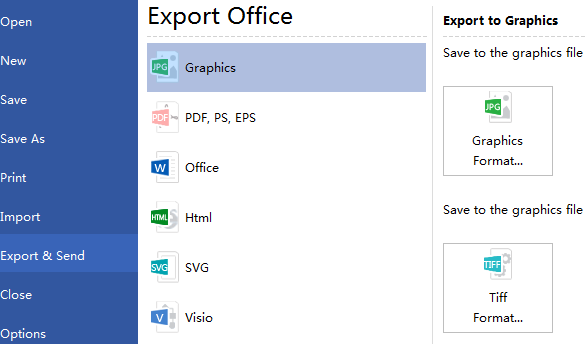 Hit Export & Send under File to export the file as other formats such as ppt, word, jpg, vsdx, pdf, etc. Symply free download this Spider Web Chart Software to get started.